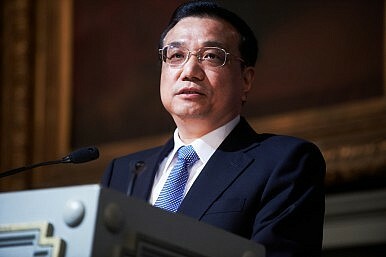 Li Keqiang has vowed to fight a “war against poverty,” highlighting the existing imbalances in China’s economic growth. Chinese Premier Li Keqiang promised that “China will wage a war against poverty with a stronger resolve,” Xinhua reported Monday. Li reportedly made the announcement while touring impoverished regions of Shaanxi province. His pledge draws attention to an often-overlooked aspect of China’s rise: while economic growth has been stunning over the past 30 years, it has also been uneven. As China’s overall GDP draws ever closer to surpassing the United States’ for the position of world’s largest, more and more commentators have taken to pointing out China’s relatively low per-capita GDP. According to the World Bank’s data, in 2012 China’s per capita GDP was $6,091, lagging behind not only the United States ($51,749) but countries such as Iraq ($6,455), Azerbaijan ($7,164), Botswana ($7,238), and Columbia ($7,748). It’s a testimony to the simple fact that, while China’s overall economy is massive, it must provide for 1.3 billion people. Still, China’s 2012 per capita GDP was almost double its 2009 number of $3,749, showing major progress. The World Bank estimates that, since 1978, China’s economic boom “has lifted more than 500 million people out of poverty.” While China’s overall GDP growth targets get all the attention, the government has also been setting targets for per capita income growth. The current goal is for per capita incomes to have doubled (compared to 2010) by 2020, which would put China at $8,800. Of course, statistics like per capita GDP, while they can provide a general idea, are of limited use in measuring poverty. It’s been noted, by scholars within and without China, that China’s rapid economic growth disproportionately benefits those living in developed urban areas (mostly concentrated near the east coast), while inland regions languish. A 2012 survey done by Peking University showed, for example, that average family income for urban residents was $2,600 a year versus only $1,600 a year for rural resident. In 2010, China Daily reported that China’s urban-to-rural income ratio was 3.33:1, the highest level since 1978. As a result, China’s per capita GDP doesn’t adequately capture the extent of the poverty problem. World Bank notes that China has about 128 million people living below the national poverty line (which equates to about $1.8 a day) — making China second only to India in terms of the largest population of the poor. China’s own official estimates are lower, but only slightly so, with Xinhua reporting 98.99 million rural poor alone in 2012. To put that in context, if we go by the World Bank estimate, China’s impoverished population is greater than the total population of all but nine countries in the world (Japan, ranked #10 in total population, has just over 127 million people). It’s no wonder that Li is publicly devoting himself towards addressing this problem. However, Li is hardly the first Chinese leader to promise to help the poor gain a share of China’s growing wealth. In 2007, then-President Hu Jintao famously pledged to “reverse the growing income disparity” within China — instead, as the China Daily report in 2010 found, the income gap reached record levels under Hu’s tenure. Hu’s governing partner, Premier Wen Jiabao also announced in 2011 that China would try to “basically eliminate poverty” by 2020. As U.S. President Lyndon B. Johnson found in the 1960s, declaring a “war on poverty” is the easy part. The hard part is actually putting in place systemic reforms that address the root causes of wealth inequality. China, with its nominally socialist system and a government that came to power through promises to the rural poor, has both more incentives and more policy tools to achieve wealth redistribution than the capitalist U.S. Yet the problem persists. How is Li planning to tackle it? From the Xinhua article, it seems that Li’s “war on poverty” is another name for his urbanization plan. Li has been actively pushing to transfer China’s population from rural to urban areas, which he hopes will lead to higher standards of living for China’s rural poor and increased domestic consumer demand — a “win-win” solution for China as its tries to rebalance its economy. A close look at Li’s comments in Monday’s Xinhua article shows the connection between his war on poverty and the existing urbanization plan. People living in “inhospitable areas” will be relocated, while the central government will “nurture small towns” for the relocated, formerly rural population. In other words, Li seeks to solve the rural-urban divide (and take down poverty) by turning rural residents into urban ones. Li has now doubled-down on this strategy, which is not without its risks. A New York Times article last year documented the issues with the relocation strategy, including shoddy construction and a lack of jobs in the artificially created urban areas. Meanwhile, there are concerns that urbanization (which generally involved removing small farmers from their land) might interfere with China’s food security. In addition, China’s urbanization strategy is walking a tightrope — the plan is to shift China’s growth model to one more centered on domestic consumption, and urbanization is assumed to increase such consumption. However, as China’s growth slows (to, it should be noted, a “mere” 7 percent or so year — a level that most developed countries still envy) so will the trickle-down benefits to individual’s incomes. Should the pace of income growth slow too quickly, domestic consumption will stall, jeopardizing China’s economic rebalance. Li’s “war on poverty” and urbanization plan all tie into China’s main goal for the next few decades — avoiding the so-called “middle income trap.” This trend for developing countries’ growth to essentially “stall out” after a period of rapid development featured heavily in the World Bank’s 2012 report recommending economic reforms for China. In addition to more structural reforms ties to China’s finance sector and currency, the alleviation of poverty and the rural-urban gap is also part of the complex web of economic reform. As Li Keqiang said, since the Cultural Revolution, China has lifted half its population out of poverty — now it faces the even tougher challenge of helping those the initial economic boom left behind. Once again, Li Keqiang has the unenviable task of generating some good PR for China's economy. With Lower Growth Target, China Pushes 'New Normal'China Posts Lowest Growth Since 1990Can China Save the Shanghai Free Trade Zone?Li Keqiang: China's Economy Is Going StrongLi Keqiang's Work Report: Old Problems, New Solutions?